"An Onalaska woman is accused of stealing thousands of dollars from a northside La Crosse church over the last decade. 47-year-old Ann Carson, the former office manager at North Presbyterian Church, allegedly wrote checks to herself between 2000 and 2010. La Crosse Police say the checks were for a large sum of money, but reports did not say how much." Over the past year I have noticed an increasing trend in the media related to inside theft jobs at churches. This should not surprise me. Scripture does say that that "flesh is weak". Matthew 26:41 (ESV) "Watch and pray that you may not enter into temptation. The spirit indeed is willing, but the flesh is weak." As protectors and overseers we need guard the church from those with weak flesh in relation to our churches finances. There are many steps that can be taken to accomplish this. 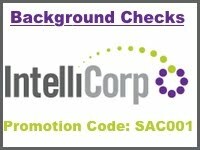 Start with a background check. You want to know the legal past of those who are handling your money, as well as, those who are serving or working in your church. Always enforce a two person rule when it come to handling money or signing checks. Some churches set a dollar limit. For example any check over $1,000 has to have two signatures on it from two different people. Criminals can still be sneaky and write multiple checks for under that amount and cash them at different banks. You may consider a policy that mandates two signatures on any checks. Make sure two people are always counting the offerings together and handling deposits. Make sure the two people are not related to each other. You have a better chance that they would not be planning a theft together. Rotate who counts and handles your money. This will help you discover patterns if money does come up missing.